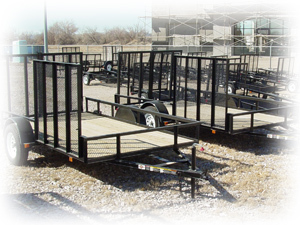 BIG R's selection of Carry-On trailers and Fimco utility carts has everything you'll need for towing and hauling. Whether you want to hook-up to your lawn tractor, ATV, or full-size truck, BIG R will have what you need! We also have a full department devoted to trailer supplies and accessories from Northwest Trailer Parts! Come and see why our selection of receivers, drop hitches, trailer balls, plug adapters, winches, hooks, pintle hooks, and trailer jacks will keep you on the road!